Eric Kochman has a Ph.D. in Electrical Chemistry from The Academy of Sciences of the former Soviet Union. Until 1990, he led a team of researchers who developed a wide variety of proprietary chemicals, coatings and composites which were successfully applied by major companies in Russia. In 1990-91, he conducted post-doctorate research on nanosized diamonds at the Tokyo Institute of Technology in Japan. Several leading Japanese tooling companies subsequently commercialized his work. In 1991-92, Dr. Kochman served as Diamond Coating Project Manager for ISCAR, Ltd., in Israel, the world’s second largest cutting tool manufacturing company. In 1993, Dr. Kochman received a grant from the U.S. Navy, came to the United States and started Science Engineering International Corporation in Maryland. The company conducted research to improve the wear resistance of gun barrels. 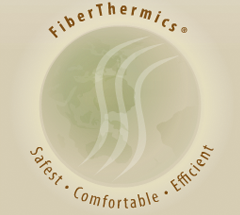 In 1996, Dr. Eric Kochman with two partners started ThermoSoft International Corporation (Vernon Hills, IL, USA, www.thermosoftinternational.com) a developer and manufacturer of new generation FiberThermics® heaters that are completely unique on the world market. At present, more than 1,400,000 households in the U.S. and Canada enjoy warming products made according to ThermoSoft’s patented technology. Dr. Eric Kochman is an author of numerous publications and patents. As Senior Vice President of Operations and Co-Founder of Thermosoft, Mike has been involved in R & D , administration, and instrumental in establishing Thermosoft's manufacturing and production processes which he continues to oversee. Prior to Thermosoft, Mike was a founder of a successful, nationwide, transportation company which he eventually sold. Mike also worked as a Vice President of Sales for a Fortune 500 financial services firm for over 10 years.